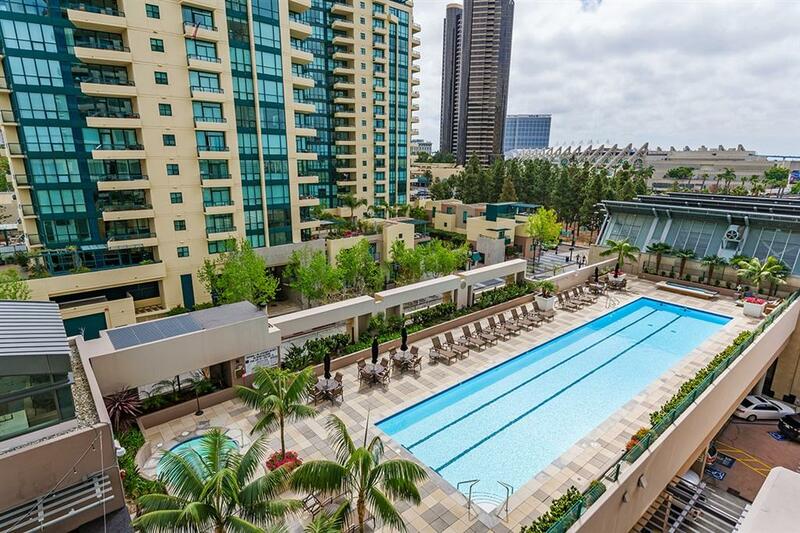 550 Front Street #504, San Diego, CA 92101 (#190017710) :: Neuman & Neuman Real Estate Inc. 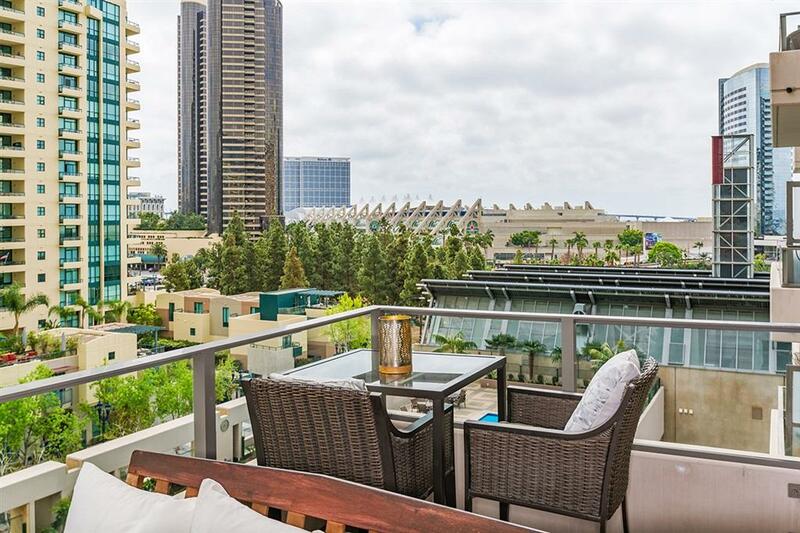 Exceptional corner residence on the 5th floor of the coveted Pinnacle community with brilliant panoramas overlooking the pool and vibrant cityscape with peek views of the Coronado Bridge. 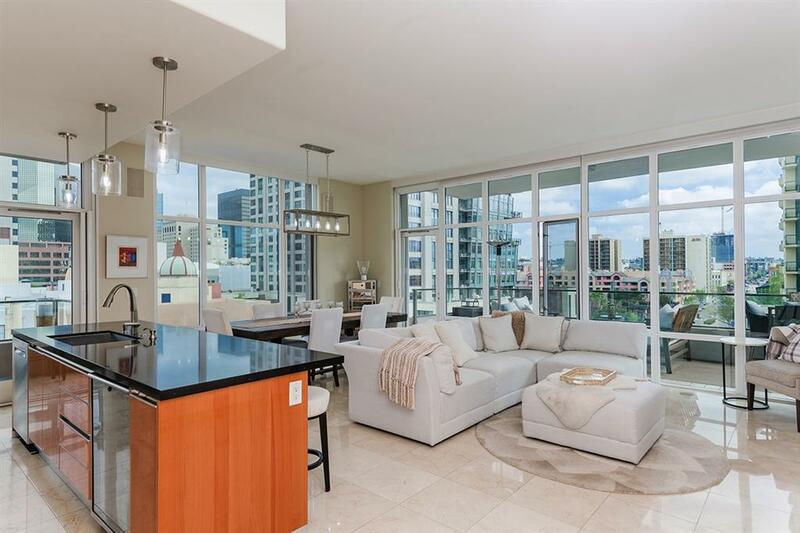 Impeccably maintained and beautifully updated, you will revel in glossy marble floors, walls of windows, high-ceilings, a beautifully updated kitchen, oversized doors, and a 20-ft long balcony plus a 2nd balcony. Complete with smart home systems for lighting and climate control, this is a dream Downtown dwelling. Awaiting your move-in, this pristine Pinnacle condo has been tastefully upgraded for the discerning buyer. 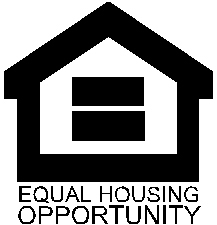 Enjoy bright neutral tones, contemporary built-ins, newer carpet, hidden retractable screen doors, updated light fixtures, plus numerous upgrades in the kitchen including sleek black quartz counters, a brushed stainless backsplash, large single basin sink, and a new Bosch dishwasher. Delight in smart home living with Lutron controlled lighting and Nest thermostats controllable with your smartphone, tablet, computer, and voice-activated smart speaker. Life is good in the Pinnacle! Residents enjoy a broad range of amenities including a lavishly appointed lobby with concierge, a state-of-the-art fitness center with steam and sauna rooms, an Olympic-style pool, an outdoor kitchen/barbecue area recently updated, a meeting room outfitted with kitchen facilities, furnished guest suite ($125/night), and a theater. 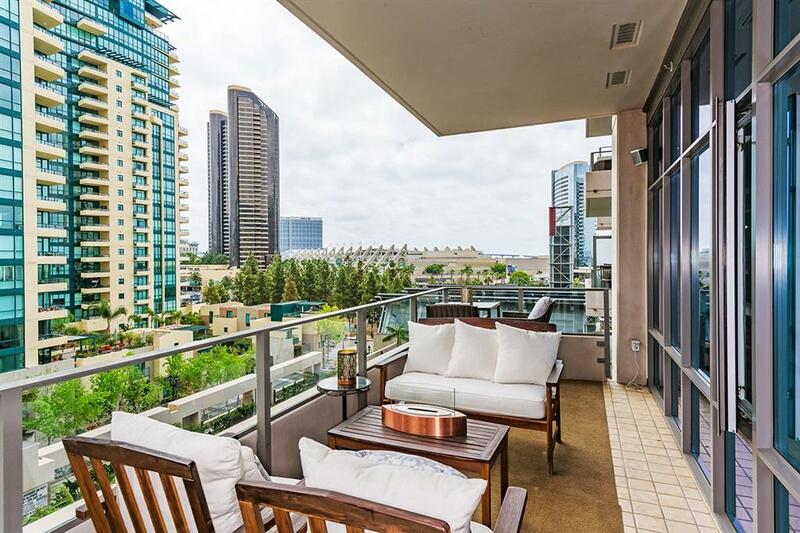 Experience luxury living in this dream Downtown residence! Nothing else compares!